I love all the Close to My Heart Cricut Cartridges but I think Artfully Sent is turning into my favorite! Between the cartridge and stamp sets included in the bundle I am using this thing all the time. I'll have a link below if you want more information about this cartridge or would like to purchase one for yourself. It comes with the cartridge (over 700 images), three large stamp sets, and a pack of 12x12 White Daisy cardstock. I dug into my scrap box for this card so I can't tell you exactly where the papers came from but the base was cut out of CTMH Daisy White cardstock. I really love the way this cardstock cuts in both the Cricut and the Cameo. 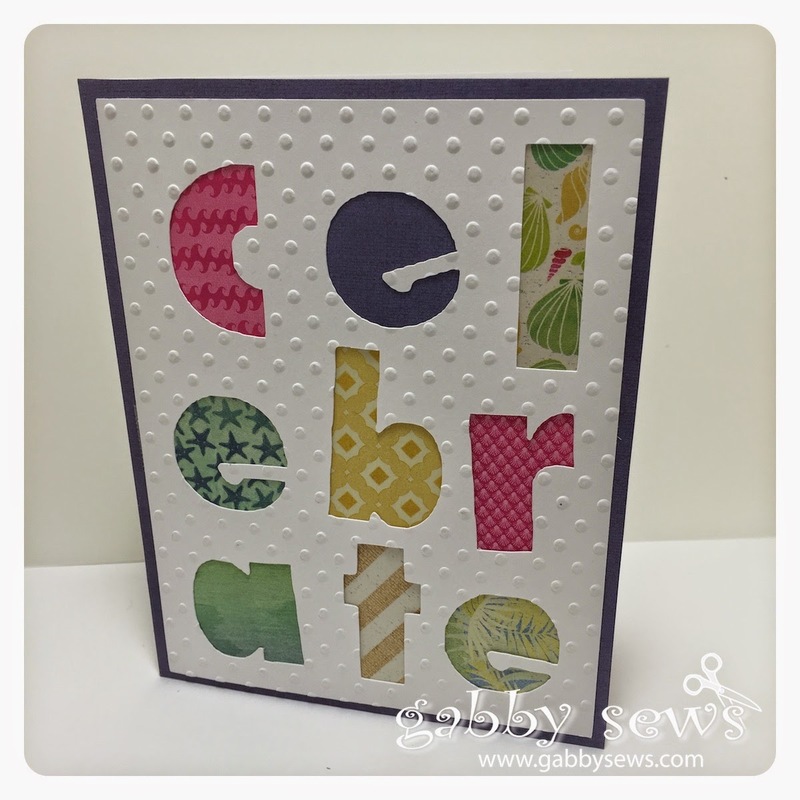 Once I had cut out the celebrate layer I ran it through a dotted embossing folder for some extra dimension. For all the different scraps I just rough cut them so they wouldn't show through the neighboring letters and stuck them down with plain old scotch tape. When it was all finished I adhered the panel to the card base with my ATG. You will want to make sure and use a strong adhesive due to all those layers and the embossed paper. This card is a great stash buster!